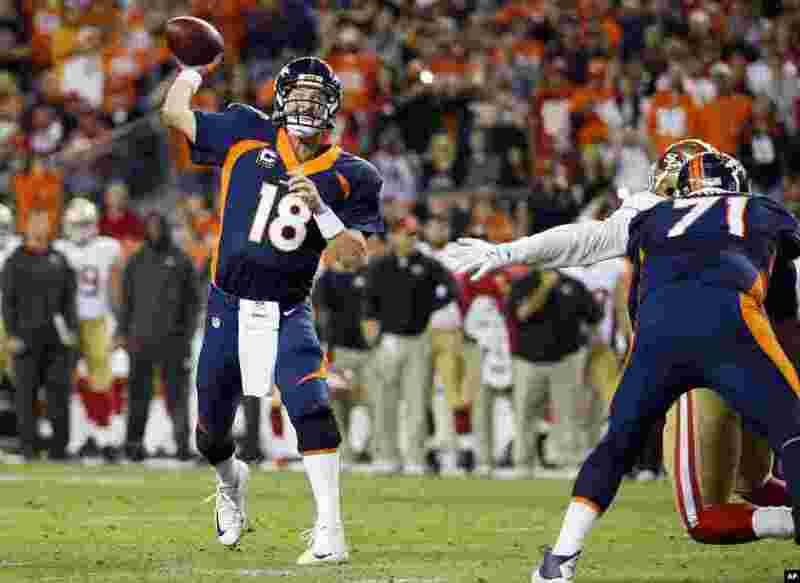 1 Denver Broncos quarterback Peyton Manning throws his 509th career touchdown pass during the first half of an NFL football game against the San Francisco 49ers in Denver, Oct. 19, 2014. 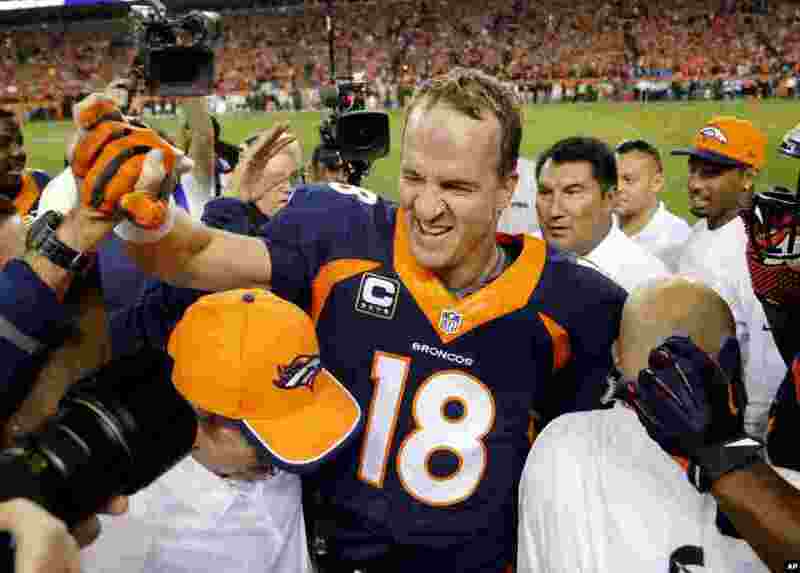 2 Peyton Manning celebrates his 509th career touchdown pass with teammates in Denver, Oct. 19, 2014. 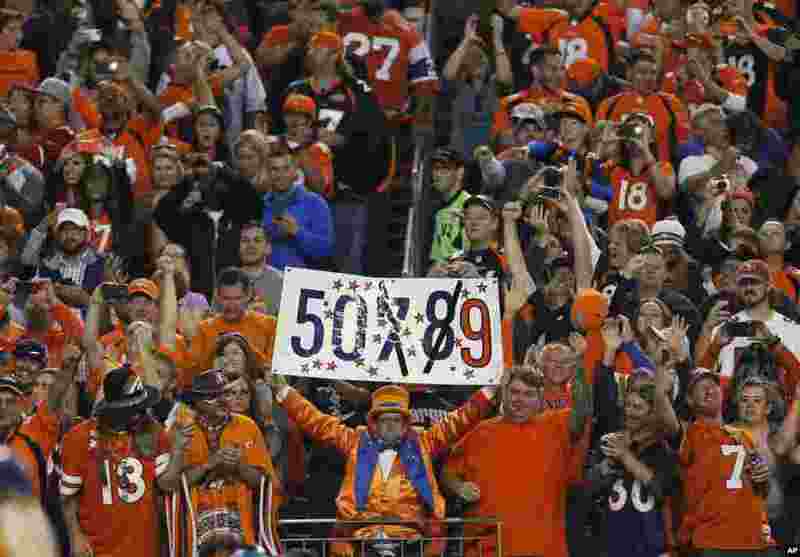 3 Denver Broncos fans celebrate Peyton Manning's 509th career touchdown pass during the first half of an NFL football game against the San Francisco 49ers in Denver, Oct. 19, 2014. 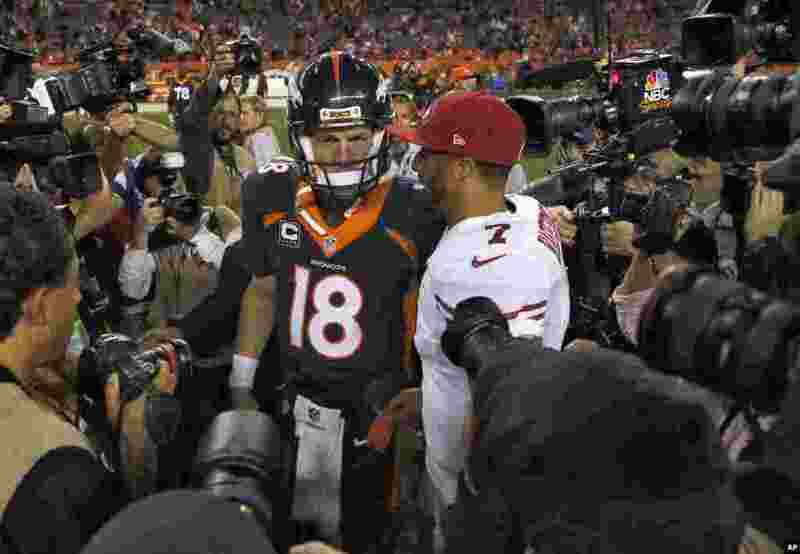 4 Denver Broncos quarterback Peyton Manning greets San Francisco 49ers quarterback Colin Kaepernick after the game in Devner, Oct. 19, 2014.